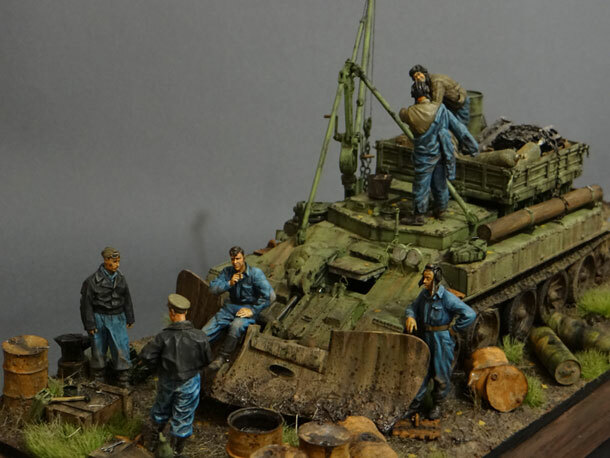 T-34 by Modelist was converted to the ARV with use of Hobby Planet kits. Figures are by Alpine, MiniArt, Stalingrad. Acrylic paints, pigments.